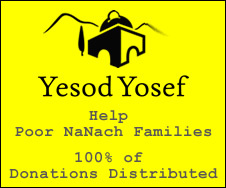 B"H yesterday Emes G Nanach hosted a Rosh Chodesh (New Month) party in his house in the desert, and I was zoche to be there, along with SNS, Ronain, Lior, Elimelech and his son Shmuel (who are now living in Gilo), Sholom Bodner, Avi Pretter, and a bunch of other guys, you can find some video footage of the event on my youtube channel http://www.youtube.com/user/ancientlyoung?feature=mhee. From the party we went to dip in the Spring - Maayan Mabua (flowing), which is a few minutes away. This spring empties out in a few minutes, and then after a few minutes it begins to refill and refills in a few minutes. In the middle of the pool there's a cistern which fills up to about 2-3 minutes, it's a little tricky getting out (jumping in is the easier part), but B"H 3 of us made it (the fourth Nanach with us doesn't know how to swim). B"H we got some great footage of this naked event. After we went to Shechem (Nabalus) to try to get into Yosef Hatzadik (who's hillula was Rosh Chodesh Tamuz, but being that the Arizal says that the Tzadikim are not by their graves on Rosh Chodesh, the time to go to Yosef is immediately afterwards), but the police didn't allow us to passage.